But of course, the Consensus among the Cognoscenti, more or less, is that it’s not a question of choosing Justice or Compassion, cuz the folks who need to be brought to Justice will be staying on the Old Earth where they can continue to torture one another, while the Compassionate ones will be ascending with the New Earth where conflict is obsolete, as the planet bifurcates Energetically/Dimensionally. Or Dementianally. So lemme tellya about my experience of Friday October 28, the End of the Callemander. I live some fifty miles (eighty klicks) by broom from a three-mile high (five klicks) Volcano that towers two miles (three klicks) above the surrounding hills – needless to say, it kinda dominates the skyline when you’re inna position to see it. Well, Thursday evening I finished reading Delores Cannon’s Three Waves of Volunteers, and in the last section she relates her own struggles coming to understand just exactly how these Two Earths are gonna split in two – Will we be able to see the Other One? Will there be catastrophes? Is this about Deaths? And the like. Okay, I know enough about Dimentionality/Dementianality (they’re the same, y’know) to be pretty comfortable intellectually with moving from one Dimension to another. I mean, that’s what the Fairy Folk do. I don’t usually see them, I more feel them, but I know many who do see them, and see Energy. I mean, how many times have you seen something move out of the corner of your eye, and when you turned to look, there was nothing there, or what was there was nothing like what you first thought you saw. You’ve just glimpsed another Dimension. If you just get used to recognizing that, you’ll begin widening your horizons quickly. Of course it’s Both/And – there’s always a “perfectly valid” explanation for everything using your Scienterrific or Traditional Worldview. It’s not Either/Or – you didn’t just see a Bird (or was it?) OR a Fairy (gimme a break!) – you just saw an Energy Flow and you aren’t quite sure how to label it. Which is good – labels is how things get caged, and you don’t wanna cage either a Bird or a Fairy, let alone both. Bad enough that you cage yerself. The more Open you can be to Both/And, the faster you’ll Open up to communication with Other, with a capital O.
I mean, what exactly is Halloween/All Saints Day/Samhain about, anyway, if not sliding between Dimensions. Friday morning I went for a ride onna Ferryboat, and lo, there’s that Volcano. It was mostly Cloudy, so the Clouds were banded across the Volcano, but you could clearly make out the vertical stripes of Glacier and Rock between the several horizontal layers of Cloud. The top was in Cloud. But wait a minute! There were TWO Volcanoes, side by side! Sure, the second one wasn’t quite as sharp – must be Clouds, eh? There was a Lenticular Cloud – Lenticular Clouds are those saucer-shaped Clouds that sometimes form over Mountain tops, “because” of a combination of Winds and Temperatures. But get this – the Lenticular Cloud wasn’t on top of the “real” Volcano, it was on top of its sidekick! Now Bryan Deflores, who daily chats with off-Planet chaps of all sorts, says that Lenticular Clouds are used by the Ships to disguise their downshifts from the Fifth Dimension into our Third Dimension, and to disguise their use of the Mountain as a portal into the Other-Dimensional Cities within the Planet. So what can I say? That Delores hypnotized me? Well, it is her specialty. Just Clouds, right? Or a very strong suggestion of evidence for the Dimensional Shift. I gotta say Both/And. I did feel a twinge of real Fear in the belly when I saw/felt the Ships, and I was probably graced with the Gift of Two Volcanoes because I’d already tapped that out. 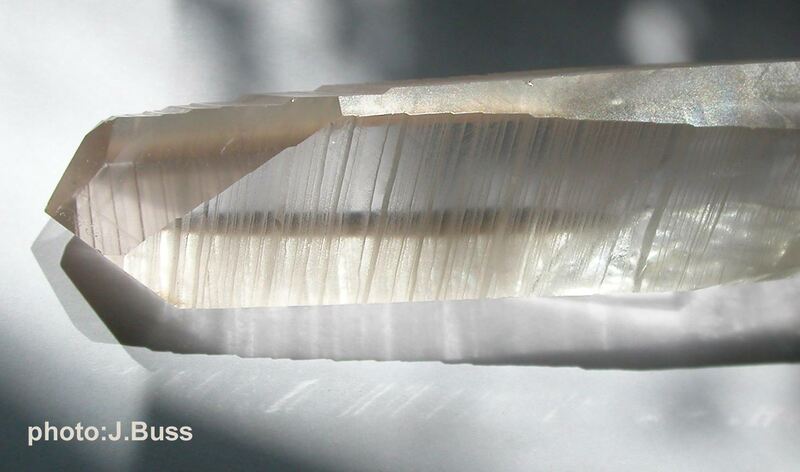 Lemurian Quartz is so named because it isn’t found in cavities in solid Rock as most Crystals are; Lemurian Crystals were found loose in sand – as if they’ve already been in use, and then hidden away to protect them from whomever, or to educate a far future generation. The horizontal bands across the Crystal are indicative. If you gaze at the picture and unfocus your eyes, you can see Energy dancing between the horizontal bands on the Crystal, and the shadows of the bands. Energy is Information. Lemurians hold information about Dimensional Shifts and about your Destination. If you see/feel conflict of any sort in the Crystal, tap it out till you get Joy rising from yer belly. I was a consultant to the FHLB at the time, so I too know of what he speaks. If anybody’s unfamiliar with the S&L mess, I’ll be glad to fill you in on the history. Which Option would you choose – justice, detachment, or compassion? I suppose None of the Above is also an option, but good luck with that! Contradictions, recall, are always in the Mind, never in Reality, because only the Mind is dualistic – Reality is multidimensional. Shakti Gawain use to have her students sing the most moving song they knew, over and over again, till they could sing it without tearing up – opening your Heart while staying Present and Neutral. That’d be a great practice to use with Option 3. This is a Crystal of Kunzite – or Spodumene to a geologist. When Spodumene is pink, it’s often called Kunzite. Lithium Aluminum Inosilicate. Lithium of course is grounding and calming, and a fundamental transmission medium for transposing Light and Matter – that is, a Trance Mission to Trance Pose Light and Matter. As in Beam me up, Scotty. Or Shazam! 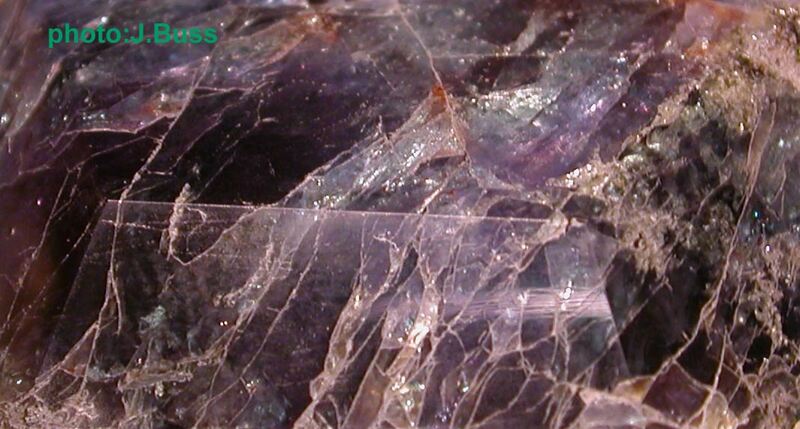 Kunzite Opens the Heart and helps they Physical Body and the Emotional Body adjust to higher vibrations. Aluminum stabilizes the Identity – oh so helpful during upgrades, and (used externally, not ingested) helps the body maintain alkalinity, which is essential for healing. Inosilicates (which carry their Silicate ions in long chains) kickstart energy flows, and accelerate healing and transformation. A Crystal with those lovely little triangular pits is called a Recordkeeper – the pits record the history of the Planet. 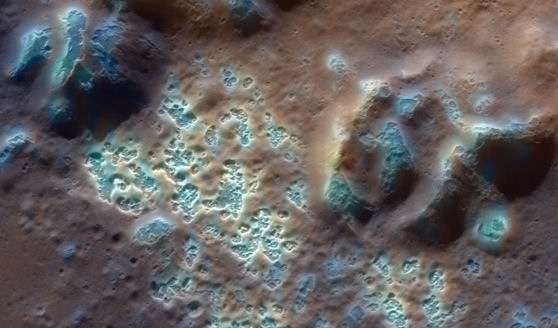 Kinda like those bright RobinsEgg Blue pits on Mercury. Hmmm, nothing new there, Ghandi said as much. – Cancel the thought, Neutralize its effect, and Upgrade the thinking apparatus. You don’t want to create a habit of believing that you always have to tap it out. But my own bias is to trust the belly. If you’re CancelNeutralizeUpgrading on the same negative thought frequently, that’s a good sign you may want to tap. Prayer (and Intention and Asking and Visualization and Affirmation, aka PIAVA) is a yet-more-powerful form of thought, but consequently more dangerous, because of possible unintended consequences and possible interference with Free Will when we pray about others. There are some things about the Body that, if we weren’t in the Reaches, won’t be common knowledge for another coupla generations, and it might be useful to mention some of these, as it could make transition easier. If you laparscopically removed yer skeleton, your body would still be able to stand up, held up by your fascia, or connective tissue. The fascia is bathed in water. Water is pretty magical. Its asymmetric, with its two Hs on one side of the O. That means it not electrically neutral, but can convey a slight charge. Because of this, it can take on many different liquid-crystalline structures. The body uses the nerve pathways which current-day science knows about, but they’re slow, like a newspaper. The water channels bathing the fascia pass information and instructions instantaneously – sometimes even faster. The discrete-organ and discrete-cell models of the body are built up from observation with microscopes that are unable to examine living tissue. Examination of living tissue yields a different model, where organs and cells are intimately connected to one another in an n-dimensional matrix, and each cell is connected directly to the “Zero Point Field,” the basic matrix of space and time. The Zero Point Field is a source of unlimited energy, if it can be unlocked. The mitochondria in our cells know how to unlock it. Chemical toxins, held emotions, and negative thoughts slow the mitochondria’s free-energy-harvesting abilities, but they don’t go away. The point is that we never want to dismiss any possibility because it conflicts with what we’ve been told about how the World or the Body works. There’s an excellent chance that what we’ve been told is wrong, and even if it was right, it may well have changed! Be Curious and expect Miracles! is an excellent way to approach the future and the present. The quotes are from Douglas Adams’s Hitchhikers Guide to the Galaxy (p.35), Peter Hoeg’s Borderliners (p.195), and Dorothy Cannon’s The Three Waves of Volunteer and the New Earth (p.527). Thanks (but no blame for errors in translation) to John Veltheim and James Oschman for the Body insights. 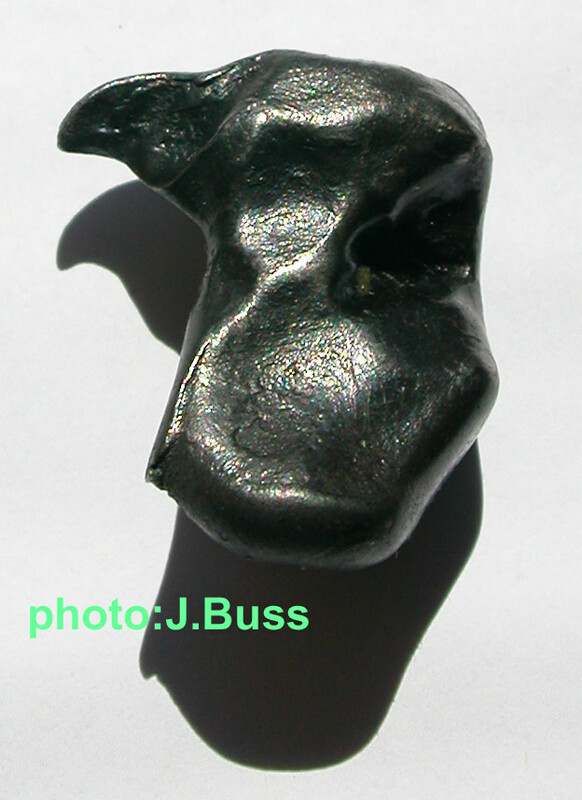 The Stone is Kamacite, a melt-smoothed fragment of an Iron-Nickel meteorite. Iron, which makes Reds, is of course grounding. If we’re grounded to the Earth, what happens when the Earth moves to a new frequency? Do we get bucked off? Not if we shift our own frequency to maintain compatibility. Iron also purifies consciousness and deepens Trance, facilitating the shift. As long as we slow-burn Oxygen, we need Iron to carry it to our cellular furnaces. Iron also energizes and immunizes. Nickel? It activates Iron, it detoxifies, it relieves headache, removes fear, and encourages playfulness. Nickel makes Greens, of the Heart. I read that a US five-cent coin now contains seven cents worth of metals, though of course metal prices vary daily. Yesterday’s Light Language is graffiti on the planet Mercury. No bull. As Ursula Leguin says, “Rules change in the Reaches,” and I don’t think it matters which calendar you’re on, there’s no question that we’re in the Reaches. Whether you’re off to the Ships (“free and easy“), or hanging with the Trolls, I’m guessing that the most important thing to remember is Both/And, or better yet, All of the Above. Enjoy! Anybody read Light Language? “Your concepts are limited. All one now moment. You can be many places, doing many things all at the same time. Are you here, or are you there? You are everywhere. You’re not in your linear space… There are many manifestations. There are more than you can imagine. As far as your human mind can go and go and go and go, and then more, and more. All of the ways that God can experience himself is all that is. But as humans, you’re not conscious of all of this? Sometimes. Once in a while, you connect. You’re going to find that you’re going to become more and more aware of other ‘yous.’ You’re going to start integrating in more of who you really are. The other yous. –Delores Cannon, The Three Waves of Volunteers and the New Earth, pp.222-233. The 1/1/2000 chart, the chart for the 21st century, with Neptune on the Dragon’s Tail, predicted this Loss of the Veil. That’d certainly play havoc with your Calendar, wouldn’t it? Morganite is the pink form of Beryl – Beryllium Aluminum Cyclosilicate, with a touch of Manganese thrown in to provide the pinkitude. Beryllium, of course, symbolizes Dragon – Beryllium being the lightest of metals but for Lithium, and provides the alchemical formula for escaping karma – Angels can fly because they take themselves lightly. Not to mention Aluminium, the fifth-lightest metal after Sodium and Magnesium. 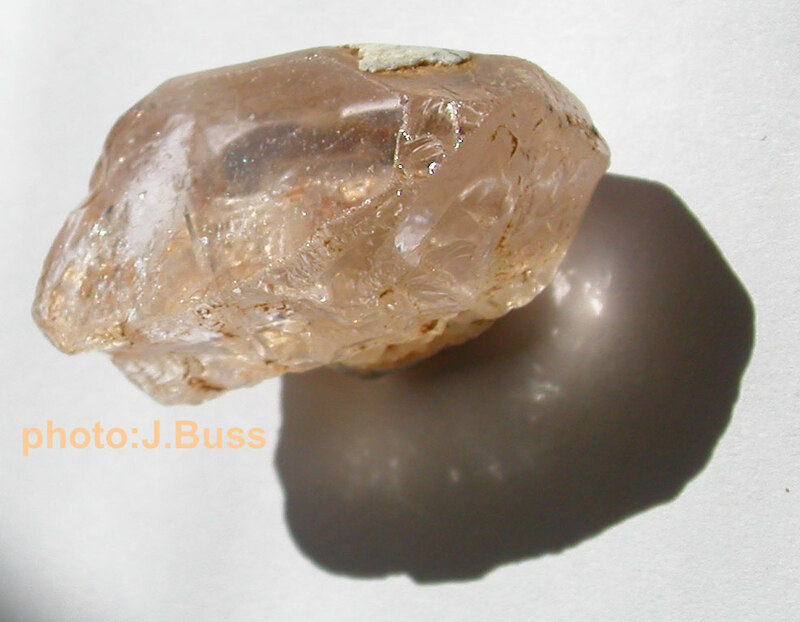 This particular color of Morganite, with a slight oranginess, is the one you want for moving between planets. Manganese clears impediments to being solidly in the Present Moment (such as Karma), opens the Heart, and detoxifies the Bod. Aluminum brings clarity to Identity. The Cyclosilicates hold their Silicate ions in rings, making for very hard crystals. Most of the Gemstones are Cyclosilicates – the major exceptions are Diamond and Ruby/Sapphire. The Beryls and Tourmalines stack their rings into pillars, which convey electricity and are very good for moving and directing Energy. Ten days to go till EMC. (Interesting that the website is https – supposedly secure, maybe cuz it’s harder for the Coke Bros to hack that way? And interesting that it’s hosted by the World’s ultimate profiteer, Google.) July 4, 2012 is two-three weeks after the Uranus-Pluto Square is exact. Duh! How many chances does the marriage of Fascism and Corruption need to identify itself? We needed a third (and fourth and fifth and… – and proportional representation rather than Wiener Take All) party fifty years ago. No, we need alternate candidates for the 2012 elections. But then, Uranus-Pluto runs through 2015, so I spose I shouldna be in such a hurry. But then, the longer the transition, the longer the suffering, and the greater the likelihood of violence. 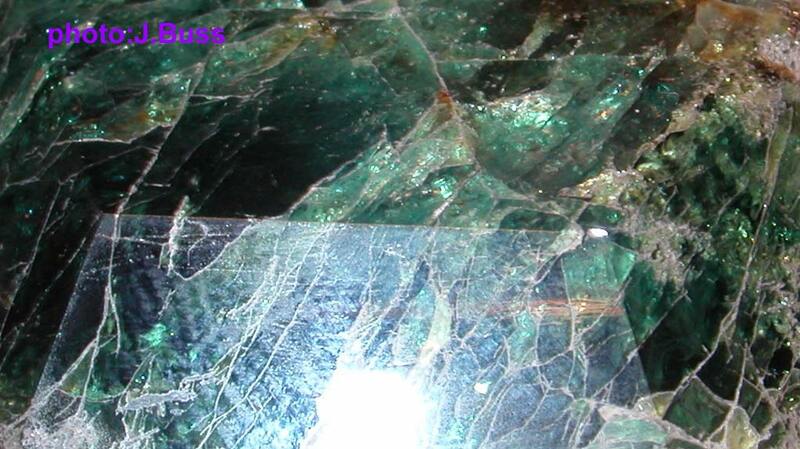 Alexandrite is a Beryllium Aluminum Oxide (called Chrysoberyl) doped with Chromium. 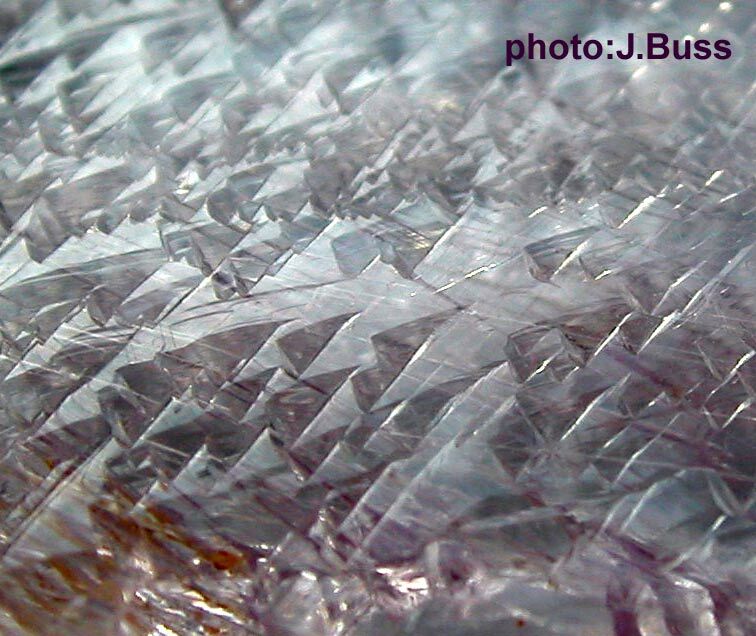 You can see the crystal faces where the light reflects differently, yet you can see the continuity of the mineral structure underneath the faces. It’s green in SunLight, but in incandescent Light it turns purple. Both/And, eh? Color isn’t strictly a property of the Rock; it’s determined by which wavelengths of Light get absorbed and which reflected. So color is a property of the Crystal structure – and in this case a property of the incoming Light. Scroll down a little on http://webmineral.com/data/Chrysoberyl.shtml and you can play with a digital model of Alexandrite Crystal structure. Just what I’ve been reading in Dorothy Cannon’s books. It could well be that the “end of the calendar” just means the end of the artifical limitations of linear time. > each of those to do likewise. > 1. No Tenure / No Pension. > pay when they are out of office. > American people. It may not be used for any other purpose. > 4. Congress will no longer vote themselves a pay raise. > Congressional pay will rise by the lower of CPI or 3%. > participates in the same health care system as the American people. > term(s), then go home and back to work. > the message. Maybe it is time. > THIS IS HOW YOU FIX CONGRESS!!!!! > If you agree with the above, pass it on. If not, just delete. > You are one of my 20+.. Please keep it going. Brings tears to yer eyes. So here we go, Day 7 of the Ninth Wave. The Waves aren’t sequential; they all end at the same time – October 28, in Calleman’s view. Each Wave is exponentially shorter; the First Wave began when this Universe began, and the Ninth Wave began in March of this year. The Ninth Wave is the shortest. Each Wave is divided into seven Days, separated by six Nights. Day 7 is the last Day. It’s Thanksgiving in Canada, honoring the Journey with Gratitude. It’s Native American Day in the US, Double Ten Day in China, and Fiji Day in Fiji, all honoring the Root, the place of Beginnings. 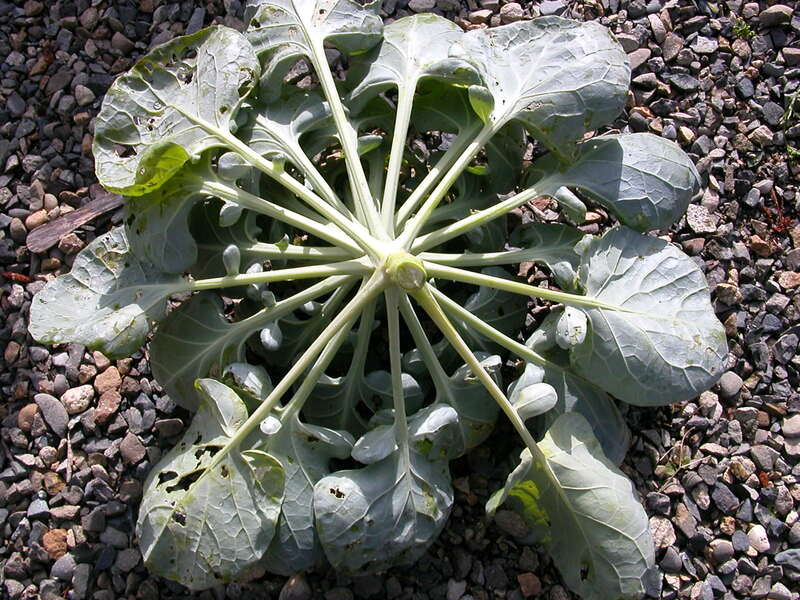 And this is Brussels Sprout, looking up from the Root into a Pebble Sky. May that other Brussels Sprout, the Euro, fare better.